The whole basis for vaccinations is unphysiological. The vast majority of infections enter the body through the nasal passages & the Gastro-Intestinal Tract or the guts. Accordingly 80% of the body’s immune system is situated at these junctures; the natural first line of defence. Vaccines are injected into deep muscle tissue/subcutaneously, either route which literally bypasses one’s natural barriers altogether. Thus the body is left vulnerable to live viruses & heavy metals. Many vaccines are laced with the adjuvant salt form of Aluminum (directly linked to early onset Alzheimer’s Disease, Macrophagic Myofasciitis, Chronic Fatigue Syndrome) & Thimerosal Mercury, a devastating neurotoxin implicated in the explosive spread of autism, until recently at 1 in 67…then 1 in 60…now at a rate of 1 in 38 in some regions – ‘individuals born in 2003 have 16.6 times the odds of an autism diagnosis compared with those born in 1992.‘, (which translates to 1 in 30 – as boys are 4 times more susceptible). Officially, the rate of Autism amongst children has risen to as high as 1 in 50, based on the glaring testimony of 100,000 parents in the US. By 2015, the statistics will conservatively match that of 1 in 38. Either neurotoxin is linked to psychological, neurological & immunological problems. Heavy metals & live viruses eventually collect in areas of fatty tissue throughout the body, notably including the brain, and linger there for decades, upwards of a lifetime. Is it any wonder so many children have succumbed to Autism during the earliest, most vulnerable stages of development? A newborn lacks sufficient protection to guard against premature damage to the blood barrier on the brain. The Myelin Sheath, an insulator which protects the cells, is under-developed. Any exposure to heavy metals during the first 2 years is deadly and unwise. Aluminum causes brain swelling and interferes with the immune system directly. The MMR shot, typically given at 12-18 months is overwhelming and many children have suffered irreversible brain damage from its impact. And remember – children have already accumulated metals in the brain from earlier shots, (Hep B, HIB, HBPV, OPV, DPT), so there is a threshold limit. 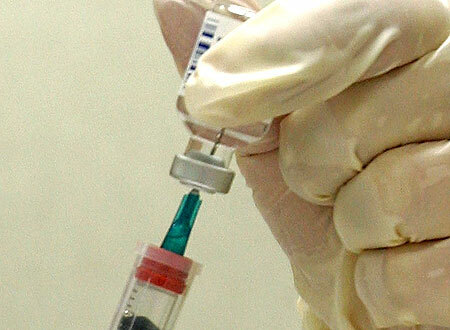 Vaccines are the main cause of Autism primarily due to accumulative damage from the Hep B, MMR & DPT shots (multiple live viruses + heavy metal build-up) – leading to Ischemia, a singeing of the neural pathways from toxic overload which prevents vital oxygen from reaching the brain, literally inhibiting normal development. Anaphylaxis, a system-wide allergic & functional breakdown, and Encephalitis, inflammation of the brain resulting from vaccine derived heavy metal sludge toxicity, inevitably follow. ALUMINUM: Currently children are getting 17 shots containing aluminum, a quadrupling of the amount given since the 1970’s. It is found in Hepatitis A, Hepatitis B, DTaP (diphtheria, tetanus, pertussis), Hib (Haemophilus influenzae type b), Pneumococcal & Gardasil (HPV) vaccines. Dr. Christopher Shaw, Canada’s leading Neuro-Scientist released a stunning Peer Review Study in 2009 linking Aluminum in Vaccines with motor neuron degeneration found in victims of Amyotrophic Lateral Sclerosis (ALS) & in those of Gulf War Syndrome. It followed another similar groundbreaking study begun in 2007. Dr. Shaw was a keynote speaker for VRM at our September 2009 rally & later in November during our subsequent Town Hall event. His contributions to the entire subject are vital. This means that for a 6 pound baby, 11-14 mcg would be toxic. The Hepatitis B vaccine given at birth contains 250 mcg of aluminum – 20 times higher than safety levels allow. Babies weigh about 12 pounds (5.5 kg) at 2 months of age when they receive 1225 mcg of aluminum from their vaccines – 50 times higher than safety levels. 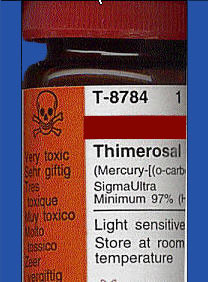 THIMEROSAL (MERCURY): A neurotoxin linked to psychological, neurological & immunological problems. Nervous system damage, kidney disease, birth defects, dental problems, mood swings, mental changes, hallucinations, memory loss, nerve damage and inability to concentrate can occur. Symptoms also include tremors, loss of dermal sensitivity, slurred speech and, in rare cases, even death and paralysis. This additive alone was the catalyst for another recent Class Action Lawsuit organized by mothers of children who “inadvertently” developed Autism & the many related behavioral disorders associated with it. Autism is now occurring at levels never seen before in history, 1 in 67 conservatively. The average used to be 1 in 20,000. 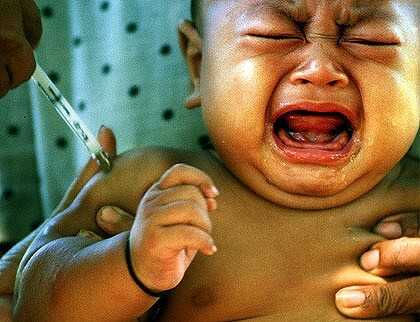 Thimerosal Mercury is added to vaccines austensibly to sterilize the giant multi-dose vats containing the serum. “Mercury, when exposed to normal human brain tissue homogenates, is capable of causing many of the same biochemical aberrancies found in Alzheimer’s diseased (AD) brains. Also, rats exposed to mercury vapor show the same major protein aberrancy as AD brains. Specifically, the rapid inactivation of important brain enzymes occurs following the addition of low levels of mercury or exposure to mercury vapor, and these same enzymes are significantly inhibited in AD brains. Also, mercury exposure to neurons in culture by other researchers, at a concentration lower than that found in many human brains, has now been shown to produce three of the widely accepted pathological diagnostic hallmarks of AD. First, in human brain samples the exposure to mercury dramatically reduced the viability of a major brain protein called tubulin, but had little if any effect on another major protein, actin. Both tubulin and actin are critically important for the growth of dendrites or maintenance of axon structures of neurons. Exposing neurons to mercury rapidly results in the stripping of tubulin from the axon structure, leaving bare neurofibrils that form the tangles that are the diagnostic hallmark of AD. Thimerosal, like mercury, also rapidly reduces the viability of tubulin; in addition, however, it abolishes the viability of actin. This likely represents a major difference in the mechanism of mercury versus organic-mercury (more neurotoxic) toxicity. However, both mercury and organic-mercury inhibit tubulin viability and would work in concert to damage neurons of the central nervous system. Using his cultured neuron system, we studied the extent of neurotoxicity of pure thimerosal and of vaccines with and without thimerosal present. The experiments were done as follows: Neurons were grown in culture for 24 hours. Then pure thimerosal or vaccines were added to test cultures. The death of neurons was observed for the next 24 hours and compared to the death of neurons in the absence of toxicant. The results were almost identical to the results observed with brain tissues: vaccines with thimerosal present were much more toxic than thimerosal-free vaccines. Pure thimerosal was toxic at the low nanomolar level–an extremely low concentration, about 10,000 times less than the thimerosal concentration found in most vaccines. These results leave little doubt about thimerosal being the toxic agent in the vaccines. However, many vaccines contain aluminum ions that have neurotoxic properties, and aluminum was once considered a factor in AD etiology. So we tested aluminum in the same system. “The search for the association between mercury and cardiovascular disease reveals 358 scientific papers exemplifying the relationship; between mercury & cancer we find 643 scientific papers. The association of mercury with neuro-degenerative diseases is the most significant, with the references numbering 1,445. 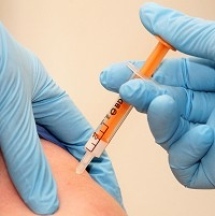 Manifestations of a vaccine triggered Cytokine Storm can range from high fever & extreme vomiting to Bronchitis, Hemorrhagic fever (drowning of lungs with fluid), Anaphylaxis (severe allergic reaction), Guillain–Barré syndrome (form of paralysis), Encephalitis (brain inflammation), Acute Respiratory Distress Syndrome, Sepsis (overwhelming immune response/inflammation/organ failure linked to bacterial infection), Bacterial Pneumonia, Febrile Convulsions, Sub-Clinical Epileptic Seizures, Grand Mal Epileptic Seizures, Narcolepsy, organ failure, blindness, coma & death. Note: an over-abundance of T-Cells, Microphages & oxygen free radicals flood the body – attacking the lungs, kidneys, liver, brain, impeding Endocrine, Lymphatic, Immune & Nervous system function. Early Onset Autism occurs anywhere from 12-18 months, potentially even earlier. It is significant that Autism coincides precisely with the most intense period of standard immunization. According to the CDC’S ‘Recommended Immunization Schedule for Persons Aged 0 Through 6 Years—United States • 2010’ by 15 months the average child has received 25 injections including: 3 doses of Hepatitis B, Rotavirus, HIB (Haemophilus Influenzae Type b), IPV (Inactivated Polio Vaccine) & Hepatitis A, 4 doses of DPT (Diphtheria, Pertussis, Tetanus) & PCV (Pneumococcal Conjugate Vaccine), 1 dose of Varicella & Meningococcal and 2 doses of MMR (Measles, Mumps, Rubella). GIRLS 4 TIMES LESS PRONE TO AUTISM. POTENTIAL REASONS: Girls are developmentally ahead of boys early in life (undoubtedly a species survival mechanism). The female Myelin Shealth & blood-brain barrier may also be stronger. The connective tissue that allows communication between the two hemispheres of the brain tends to be thicker. Estrogen is also believed to decrease Thimerosal’s toxic affects; versus testosterone which greatly increases the toxicity. 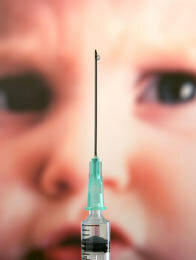 Autism symptoms appears at 12-15 months, precisely when the MMR vaccine is administered. X & Y CHROMOSOME: ‘Every DNA molecules is composed of two strands. When a cell detects a DNA duplex with a difference between its two DNA strands, that duplex is “repaired” by the rather Draconian expedient of chopping out the entire region, on both strands of the DNA molecule. No effort is made by the cell to determine which strand is correct — both are discarded. The gap that this creates is filled by copying off the sequence present at that region on the other chromosome. All this editing happens when the two versions of the chromosome are paired closely together in the early stages of gamete (egg and sperm) formation, the process we biologists call meiosis. All females have two copies of the “so-called” X chromosome. The X chromosome is about the same size as other 22 human chromosomes, which also occur in pairs, and like them is packed with some 1000 genes. The reason there are two copies of the X and other chromosome is to allow for the repair of the inevitable damage that occurs over time to individual genes because of wear-and-tear, chemical damage, and mistakes in copying. Because this sort of damage is passed on to offspring, it tends to accumulate over time. For this reason, genes must be edited every so often to repair the accumulated mutations (biologists call damage to genes mutation). 40% of children with Autism wait 3 years for a diagnosis. 25% of them are excluded from schools. i. Damage to the Methylation process – Methylation assists in a critical stage of early development involving the viability of cells, ‘an on/off switch that allows the body to learn how to respond to environmental change. It represents the only cellular pathway that effects both adaptability and structural integrity of the body. j. Anti-mitochondrial antibodies are elevated; which suffocates Eukaryotic cells (complex structures enclosed within membranes). Mitochondria are the battery pack of your cells. “Mitochondria play an important role in controlling the life and death of a cell. Consequently, mitochondrial dysfunction leads to a range of human diseases such as ischemia-reperfusion injury, sepsis, and diabetes.” Most Eukaryotic cells contain other membrane-bound organelles such as mitochondria, chloroplasts & Golgi body. “Primordial eukaryotic cells lacked ability to use oxygen” – excerpt/Autistic case file. Mitochondria are the battery pack of your cells which determine your body’s inherent ability to function efficiently, without which none of these connections are possible. Anti-mitochondrial antibodies are elevated in children with Autism; a process which suffocates Eukaryotic cells (complex structures enclosed within membranes). Vaccine derived heavy metal-antibiotic-detergent-virus sludge targets the Mitochondria while neutralizing major anti-oxidants in the body, causing Ischemia. “Primordial eukaryotic cells lacked ability to use oxygen” – excerpt/Autistic case file. Unlocking the keys to natural immunity requires a holistic approach to the complex functioning of the body. Every major organ & gland are entirely interdependent, a magnificently delicate apparatus of interconnections, without any one of which, the entire system of operations will inevitably fail, leading to a chain-reaction of adverse metabolic breakdown & compromised immunity. Case in point, the Liver converts Vitamin D3 (cholecalciferol) into Calcidiol (25-hydroxycholecalciferol – aids in prevention of chronic Liver disease, Thyroid disorders, Diabetes, Cancer), from which the kidneys generate Calcitriol (active form of Vitamin D designed to increase calcium levels in the body in order to treat skeletal and tissue-related calcium deficiencies caused by kidney or thyroid disorders). 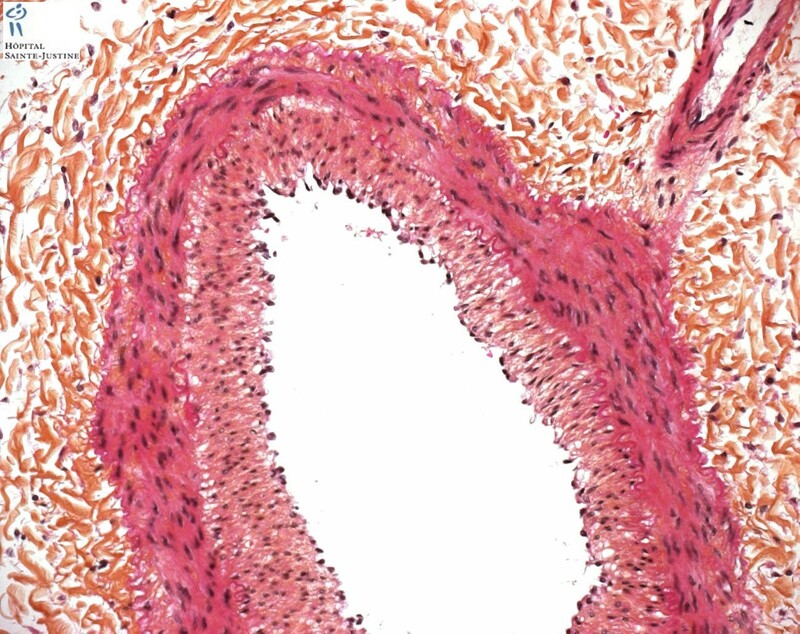 The Lymphocytes in your lungs also depend on Vitamin D3 (steroid hormone known as “cholecalciferol” derived primarily from direct exposure to sunlight & via fatty fish, egg yolks, and dairy products) in order to process Vitamins C & E, while regulating proinflammatory cytokines (those which make disease worse); thus staving off infections, ie. colds, influenza, asthma, bronchitis, pneumonia. Note 1: Mycoplasma are inherently resistant to a vast majority of antibiotics on the market. Children coping with Autism already have a compromised immune system, made worse by the presence of Mycoplasma bacteria in the gut. And remember, vaccines & antibiotics kill good bacteria in the intestines leaving room for yeast overgrowth. Prolonged root growth perforates the walls of the intestines – a critical determinate in all cases of Autism. Note 2: Children coping with Autism suffer from systemic bacterial (Mycoplasma series), viral (vaccine derived live viruses &/or attenuated strands of DNA/RNA material) and/or fungal infections (yeast overgrowth caused by prolonged use of vaccines & antibiotics) in the gut. Mycoplasma require sterol (cholesterol) for growth & enrichment with ascitic fluid (accumulation of fluid in the abdomen…may be a direct result of a malignant process or secondary to an unrelated comorbidity’). ‘Mycoplasmas are the smallest free-living microorganisms, being about 300 nm in diameter. They are bounded by a triple-layered membrane and, unlike conventional bacteria, do not have a rigid cell wall. Hence, they are not susceptible to penicillins and other antibiotics that act on this structure. They are, however, susceptible to a variety of other broad-spectrum antibiotics, most of which only inhibit their multiplication and do not kill them. The tetracyclines have always been in the forefront of antibiotic usage, particularly for genital tract infections, but macrolides are also widely used for respiratory tract infections. Note: Genetics play a significant (but not central) role in determining the early onset Autism & other conditions so prevalent today. Our parents & their parents before them suffered chronic long term exposure to heavy metals & live viruses via similar mass vaccination programs given in their era. The Salk/Sabin Polio shot passed on inter-generational viruses & cancers: “Post-Polio Syndrome”, “Chronic Fatigue Syndrome”, “Myalgic Encephalomyelitis” & “Cerebral Palsy” (known as “Aseptic/Viral Meningitis”). This generational aspect of mineral depletion, which is passed on via the placenta & colostrum, strips a baby of its most vital guard during the earliest, critical stages of development. As children we inherit a varyingly compromised system based on this legacy. It’s Russian Roulette. Your immune system enters this world with a certain vulnerability. The tipping point comes sooner for some than others. Further what is categorized as SIDS or Sudden Infant Death Syndrome has nothing to do with bad parenting ie. shaking your baby too aggressively. The child is in agony due to massive brain swelling. Parents who have been maligned unfairly should take courage from this knowledge. Pancreatic cancer, Mesothelioma (fatal tumor of the membrane surrounding the lungs), Brain cancers (Primarily Ependymomas & Choroid Plexus Tumors, Astrocytomas, Glioblastomas, Medulloblastoma, Meningiomas), Bone cancers (Primarily Osteosarcomas, Chondrosarcoma & Giant Cell Tumors), Post-Polio Syndrome, Myalgic Encephalomyelitis, Aseptic Meningitis & Non-Hodgkin Lymphoma. Note 1: Acute exposure to heavy metals can lead to a host of auto-immune disorders including Autism, Schizophrenia, ALS, Lupus, Parkinson’s & Alzheimer’s Disease & cognitive disfunction. Lupus is now recognized as an auto-immune disorder triggered primarily by vaccine trauma & related environmental factors. This testimonial is chock full of sensible health choices. Himalayan Salt contains Iodine in proportional trace amounts with other 70 + trace minerals. Iodine helps regulate metabolism in the body. Vitamin B12 stimulates Melatonin in the body, critical to maintaining the immune system. Vitamin C further empowers this system. CQ10 (Co-enzyme q10) is an enzyme produced in the Liver which regulates vitamin C & E & fights Free Radicals, helping to restore energy balance in the body by repairing damage done to the Mitochondria. Algae contain high concentrations of Iodine (0.5–8.0 mg/gm); which fights cancer. Bach Flower Remedies are a powerful source of anti-oxidants.Methionine is a sulfur-containing proteinogenic amino acid vital in the function of metabolism, the prevention of cardiovascular disease, as well as liver (detoxifier) & cognitive function. A significant correlation has been found between risk of Alzheimer’s disease and high plasma levels of homocysteine (due to a lack of re-methylation cofactors), as well as low levels of folic acid, vitamins B6 & B12 An example here of nature working for you, not against you; which unfortunately results when we rely on Western Medicine for solutions. Note 2: Even if you’ve already received numerous vaccines you can still purge a lot of the damage done. Start with Vitamin D3, Niacin, Omega 3 Fatty Acids, Selenium, Vitamin C, Colloidal Silver, Oil of Oregano, Coconut Oil, Noni Juice, Magnesium, Zinc, Curcumin, Spirulena, Activated Charcoal, Chlorella, Zeolite Powder & Cilantro (last 4 absorb heavy metals accumulated in the body). 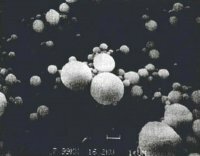 “Heavy-metal overloads can effectively be treated using oral supplements of zinc, manganese, cysteine, serine, and vitamins B6, C, and E. The initial treatment must be gradual to avoid a sudden dumping of metal toxics from tissues, which could cause kidney damage and a worsening of symptoms.” Dr. Wm. Walsh. I would also recommend adding organic Kale, Celery & Beets, Red Grapes with seeds & Apples (both eaten whole) to your diet. A daily swig of Organic Apple Cider Vinegar is also vital to help restore the Alkaline balance in your body. This list is really just a primer for total health regeneration. There are more steps to take but this is the road that will ultimately begin the natural process; a gathering of all the material I’ve found useful along the way gleaned from multiple sources. Find creative ways to add it to your regime. You can do this. Time to be proactive!!! I was blown away by this comment. Such courage in this father, JB you are a HERO for standing up in defense of your children. Such a hopelessly ignorant Pediatrician refusing to see beyond the script on his desk. Vaccines are the main cause of Autism. Primarily due to accumulative damage from the Hep B, MMR & DPT shots (multiple live viruses + heavy metal build-up) leading to Ischemia, a singing of the neural pathways from toxic overload; which prevents vital oxygen from reaching the brain literally inhibiting normal development. Education & Knowledge are the only answers to cope a Medical System increasingly blind, deaf & dumb to the facts. Parents have to step up to the plate for their children when doctors sworn to do no harm won’t. My 5 yr old son has aluminum poisoning 5x the upper expected limit, when he was 4 months old he got intussusception from the rotovirus vaccine. We were told it was common only to find when he was on his deathbed it’s actually quite rare. He survived that with help from the surgeons and we stupidly continued to vaccinate him until he was 2 1/2. Now looking back every vaccine starting with the hep B shot at birth had negative consequences, the day he was born the nurse handed me my baby and I screamed at her “what did you do to my baby?! She told me he was perfectly healthy 10 fingers 10 toes. I said “I see that but what’s wrong with him?” Every well baby check up left him weak, sick, and screaming for months. When we went for his 2 1/2 year old visit I brought up my concerns about his autism, he was diagnosed with at 15 months, she told me he should receive the vaccines to protect him, and the link between vaccines and autism was weak at best, she said “he can’t get MORE autistic” then he did. He was saying mama, ball, bubbles, outside , byebye, and hungry- until the very next day. He lost all ability to communicate and play with toys and peers. We were devastated. When he was 3 we went back to the pediatrician this time refusing the vaccines. The Dr. came in and told me there was no mercury in vaccines it had all been taken out, I went home and dug into the FDA’s website only to find all the vaccines he would have received that day in 2007 in fact still contained high amounts of aluminum and mercury. The Dr. retaliated with “autism is genetic” he went on boldly to say “Autism is an epidemic in America, well the world actually and most of them outgrow it” I explained that there’s no such thing as a genetic epidemic and he sat bewildered and thought about it. He acknowledged I had a good point and tried to put me in contact with a mother of an autistic child who believed there was no link, and her son “grew out of it.” I did not return her phone calls because I saw the autism vaccine link for myself. This is just one example of the bullying parents have to deal with in order to protect thier children. About 2 weeks later I received a letter from the pediatricians office stating “because of your unhealthy decision not to vaccinate your two children, we can no longer treat them at this office, best of luck to you in the future.” This prompted me to do some research on the DR. and his family- what I found was that his 3 children are exempt from vaccination. He knew the dangers, but the kickbacks were so great he could not chance losing his bonuses by allowing unvaccinated children in his practice. My son is going through chelation now to bring down high levels of lead, aluminum and mercury. my son was diagnosed with low functioning autism, severe mental retardation and heavy metal poisoning. After 5 months of chelation he still has autism and mild MR, but he is recovering, I am excited to know what he will be like in a yr or two because he has come so far in just 5 months. He had no expressive or receptive language, he scored at 0 months, and other scores were in the 4-8 month range, 8 months being the highest level of functioning for him, now 5 months later, he is at 23 months for everything which is why his dx has been changed from severe MR to mild. If I could go back, I would never have vaccinated either of my 2 children, but I am glad to see him growing instead of regressing, there is hope. My son no longer bangs his head, hits himself, strains until he’s purple while having a bowel movement and his anxiety, once debilitating, is gone. I credit chelation therapy for this. We can’t take back the pain and suffering of our entire family, but we can move on to recovery.